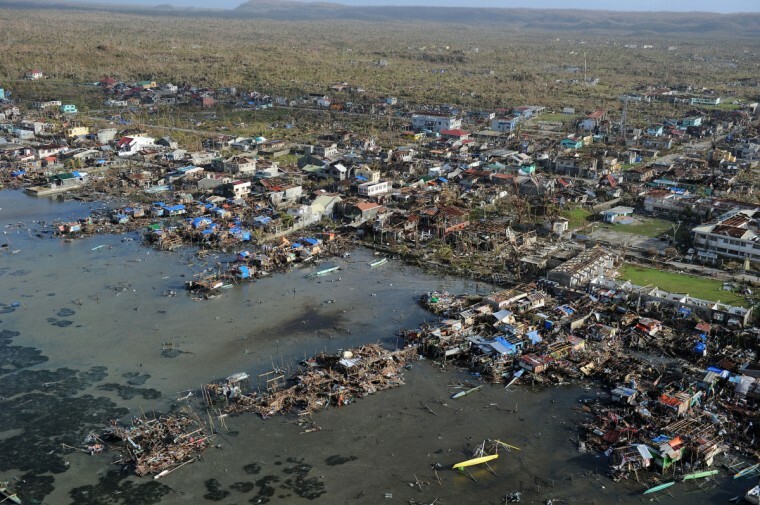 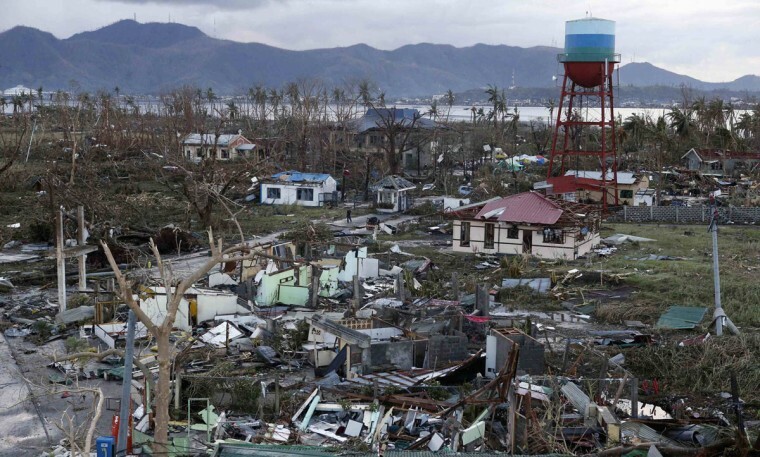 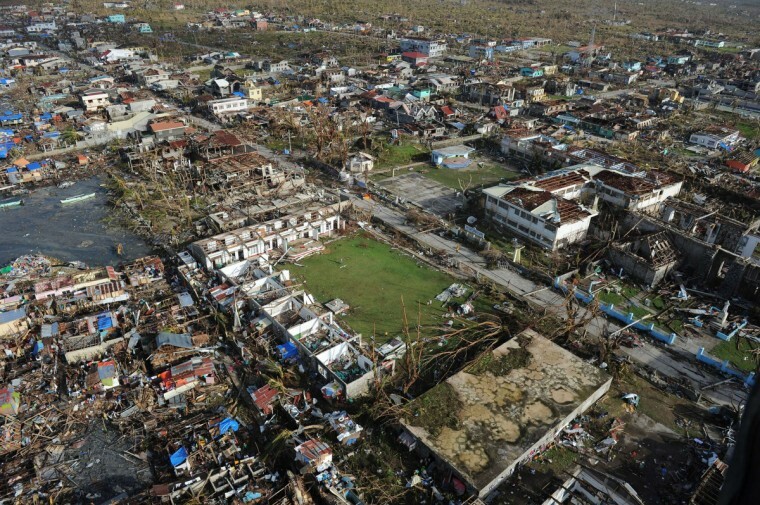 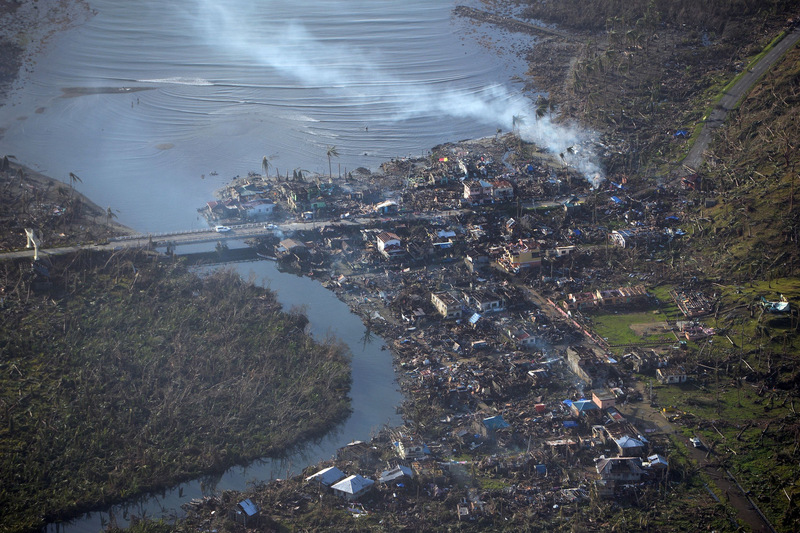 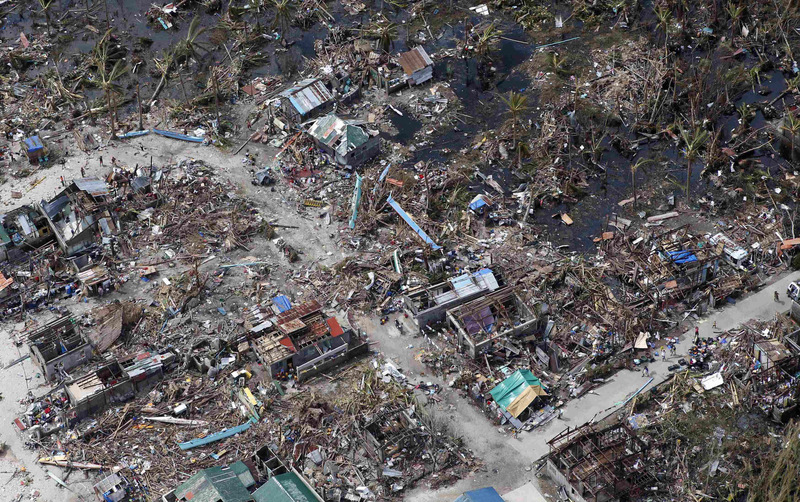 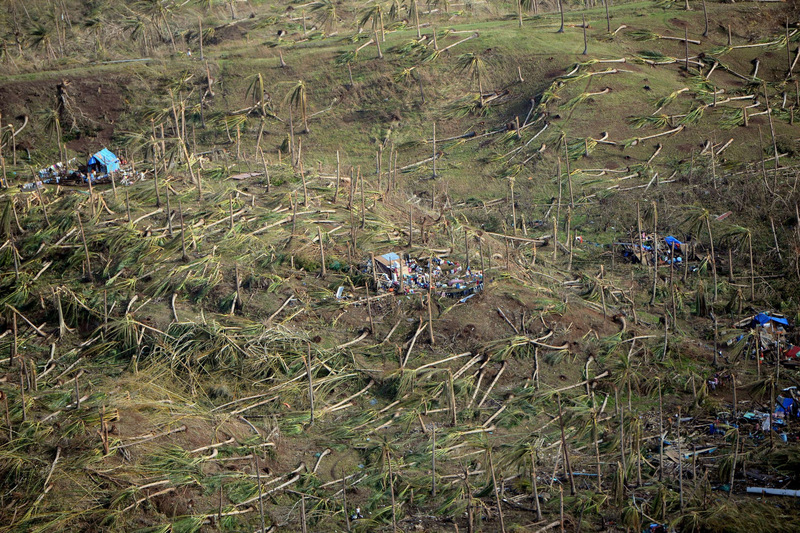 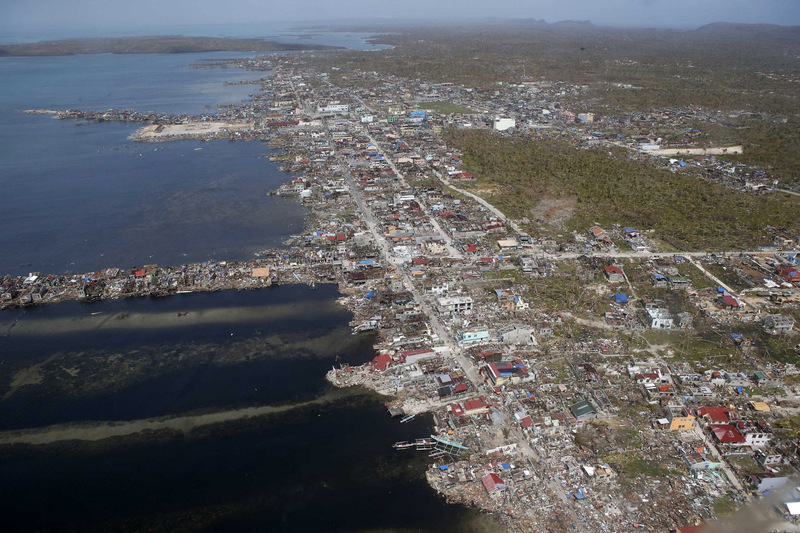 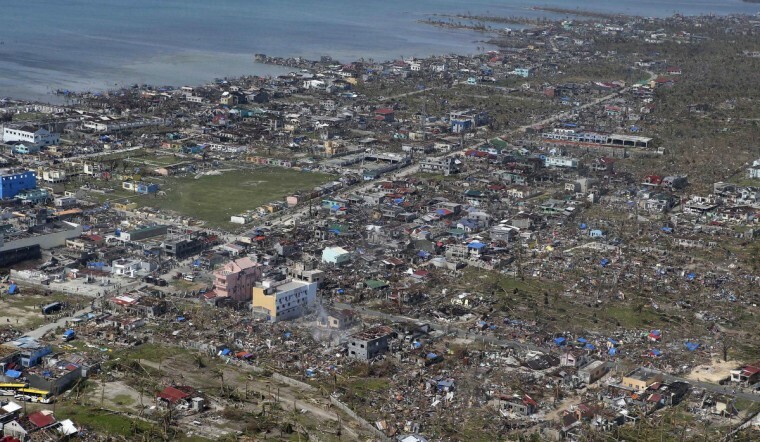 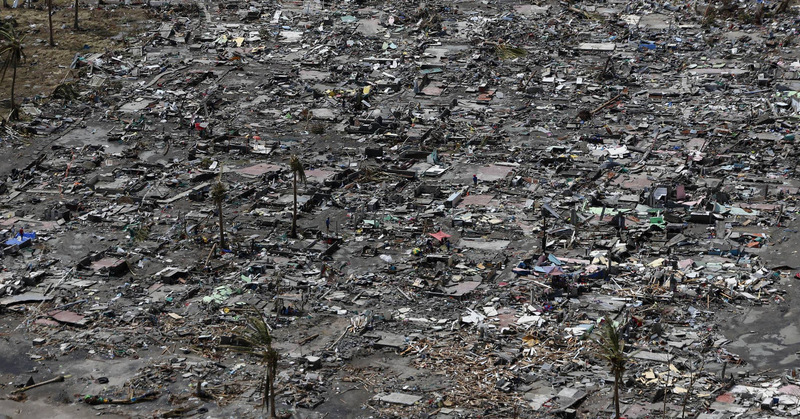 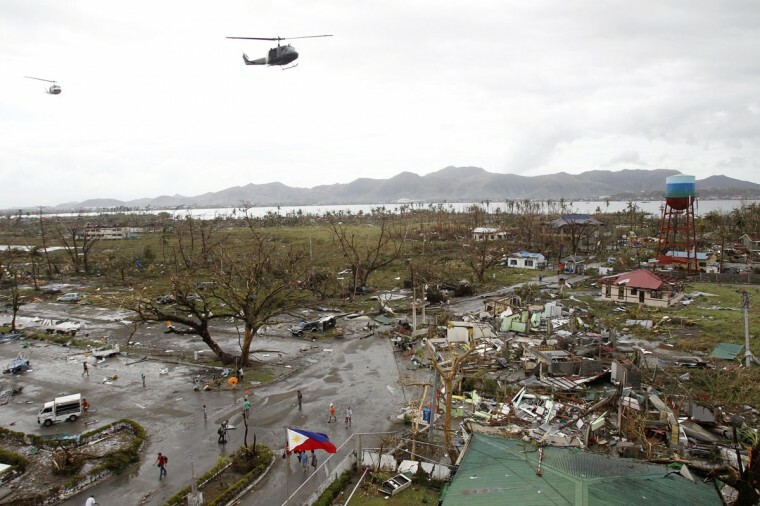 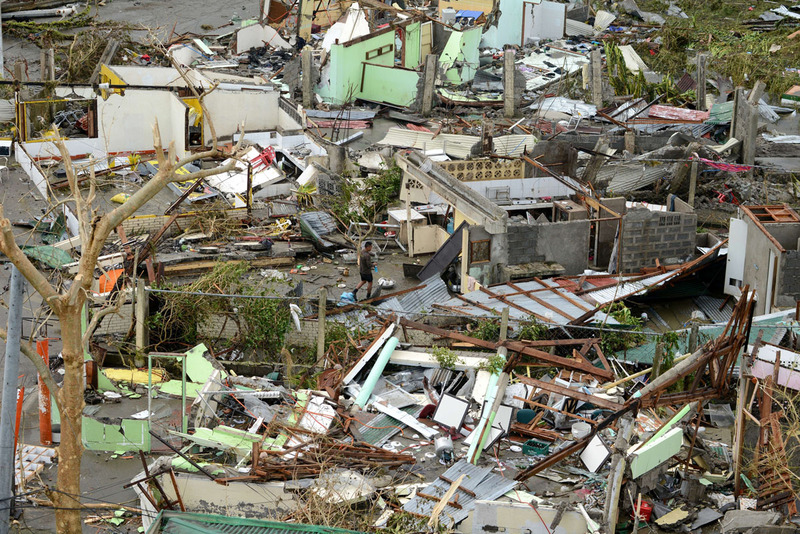 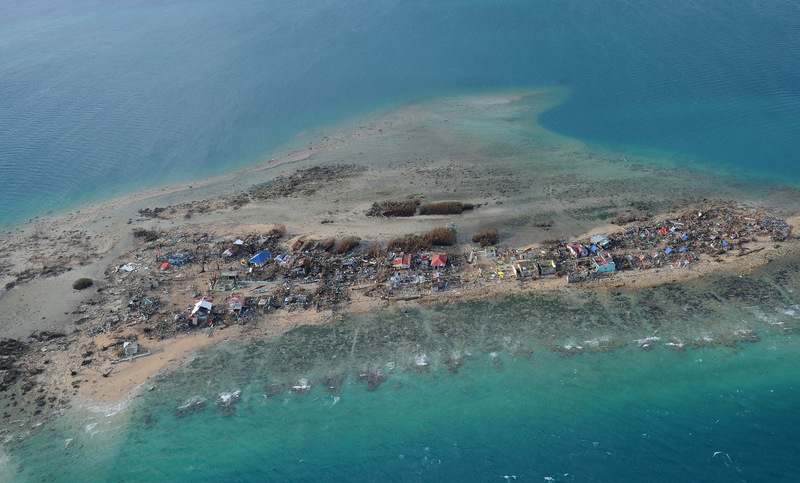 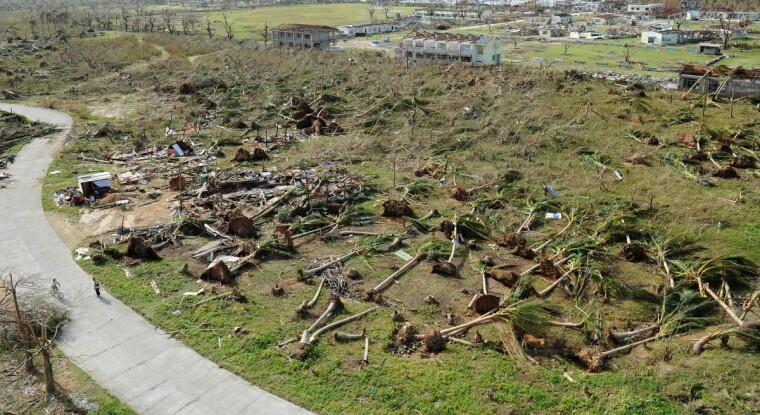 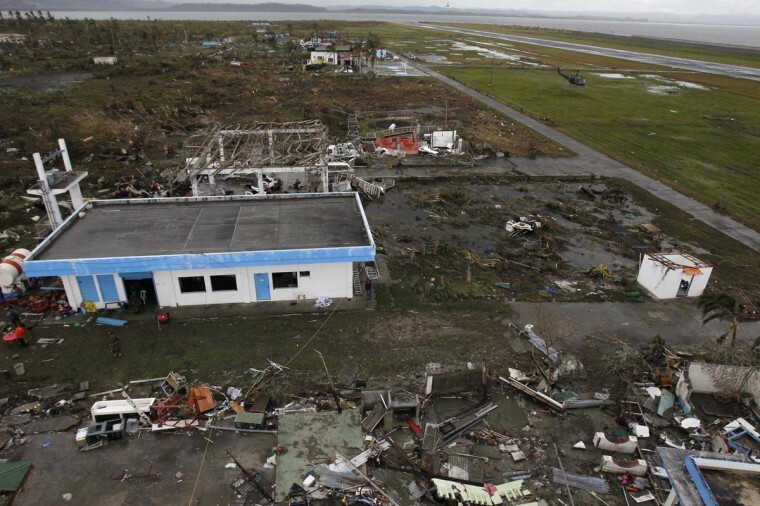 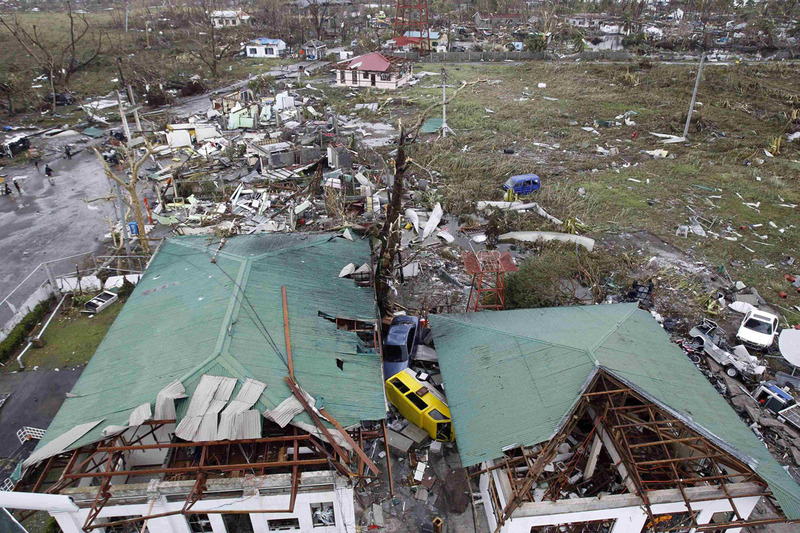 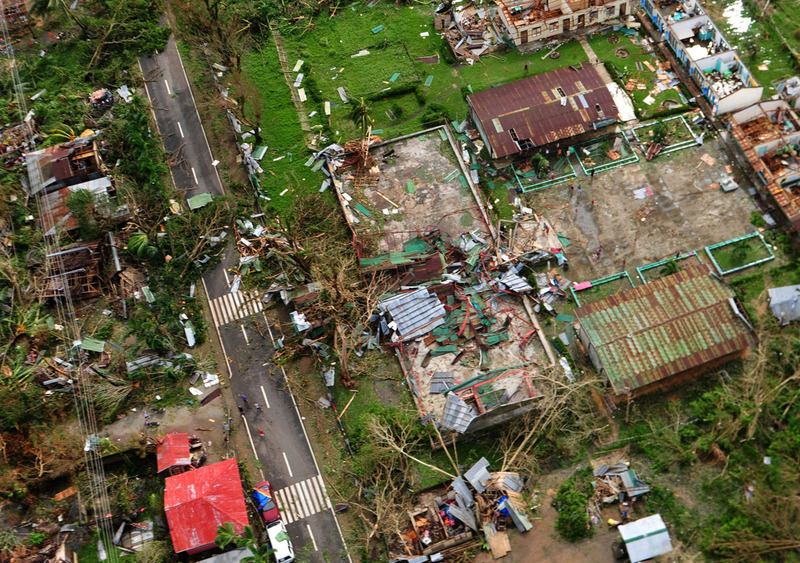 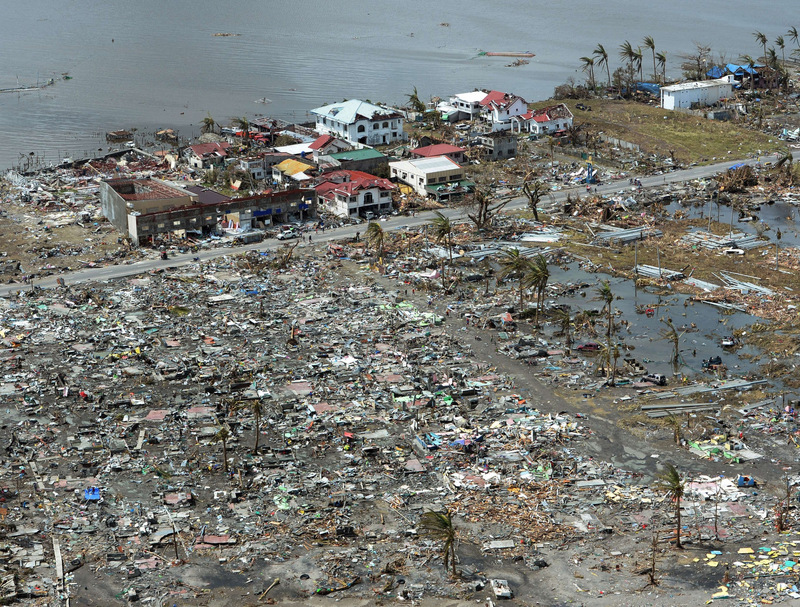 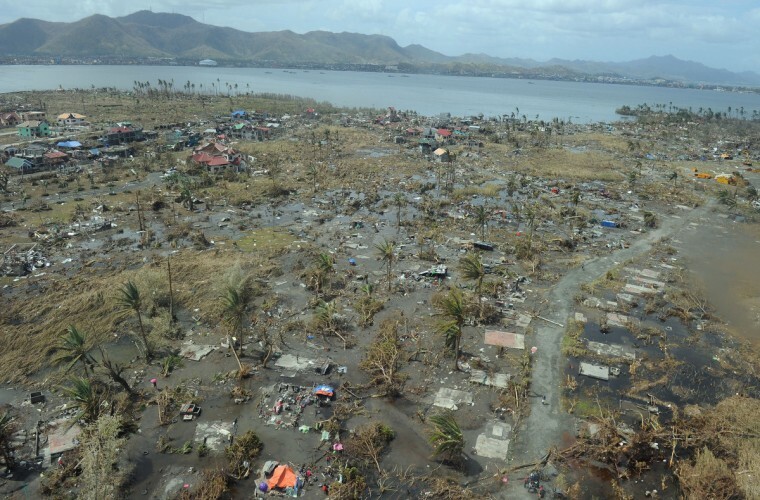 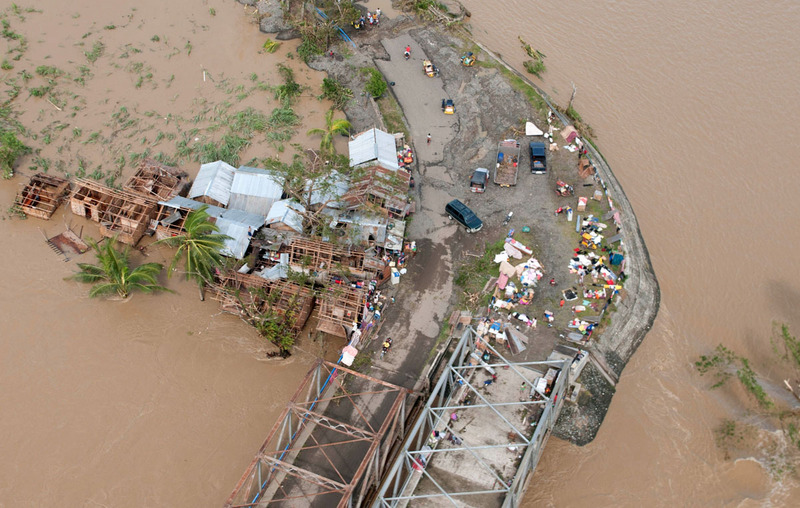 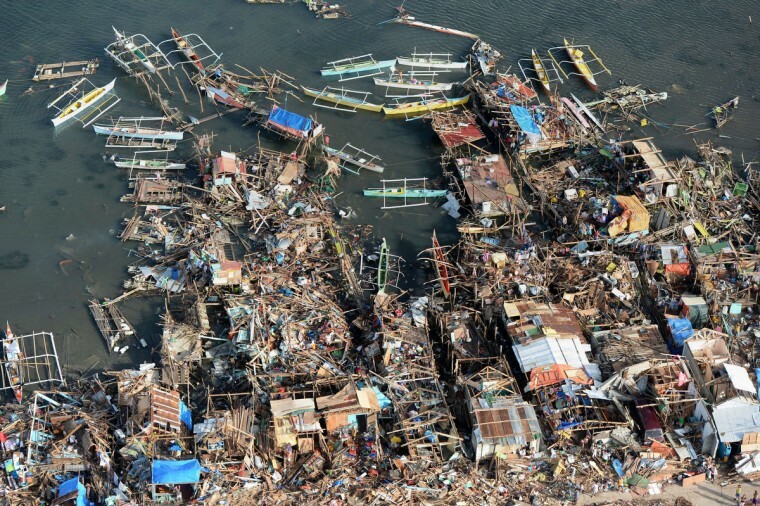 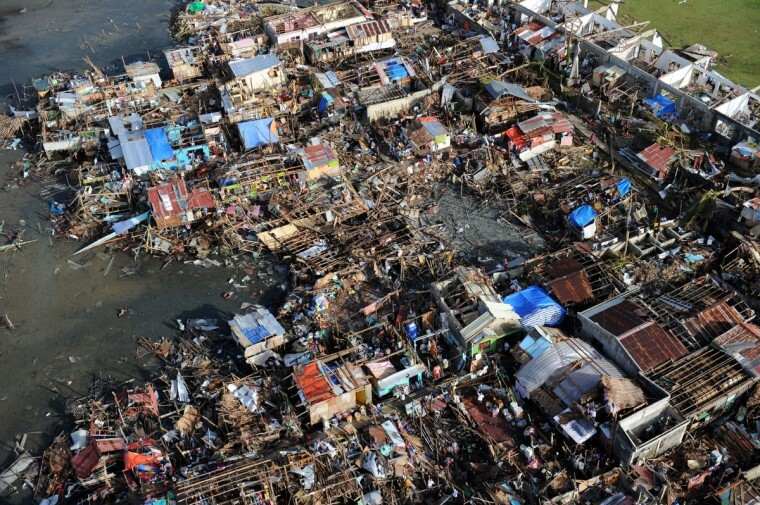 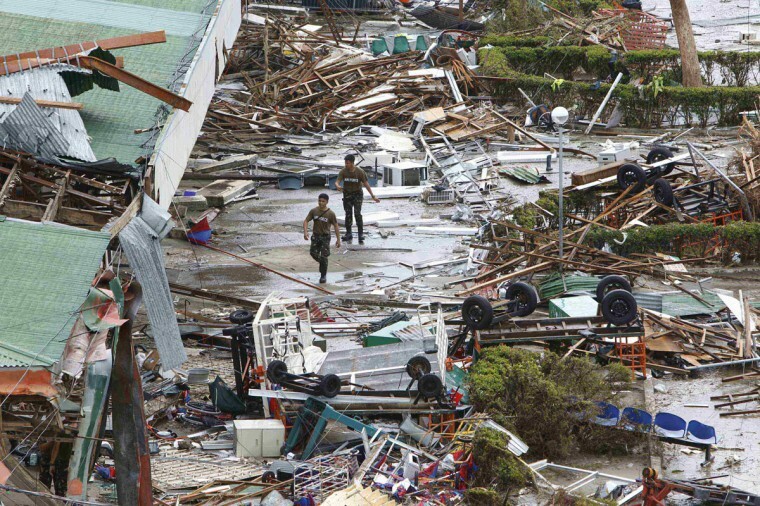 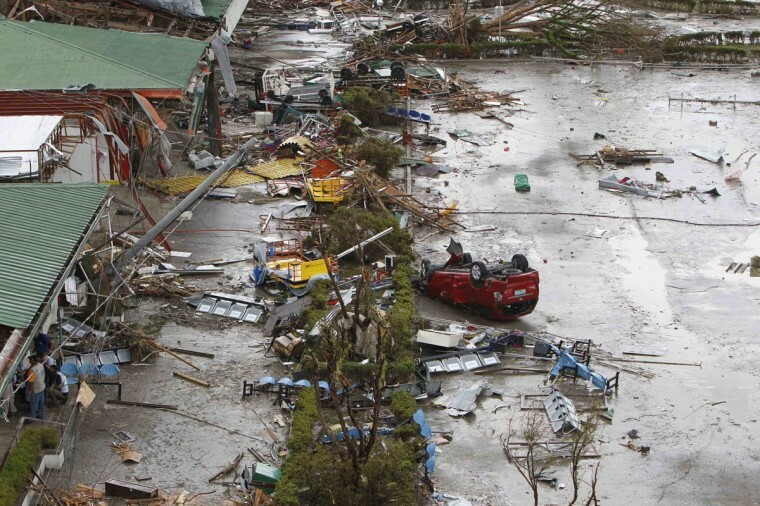 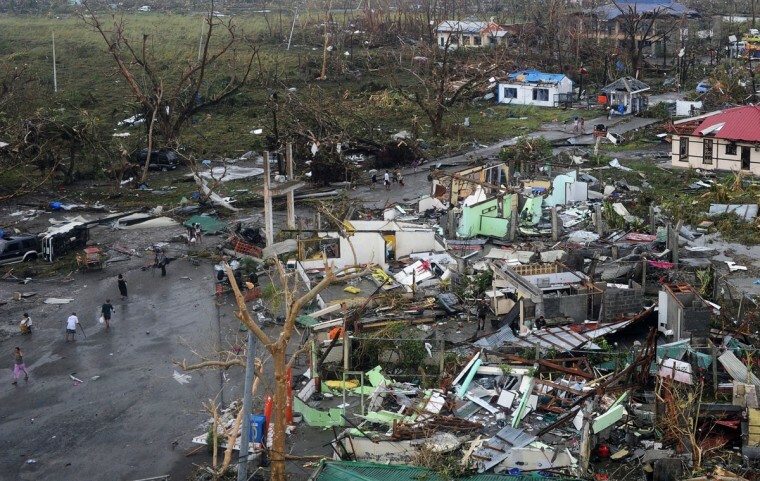 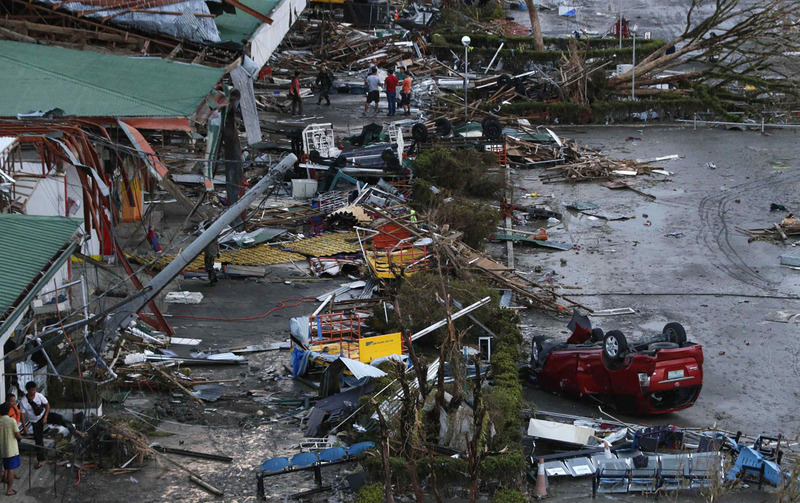 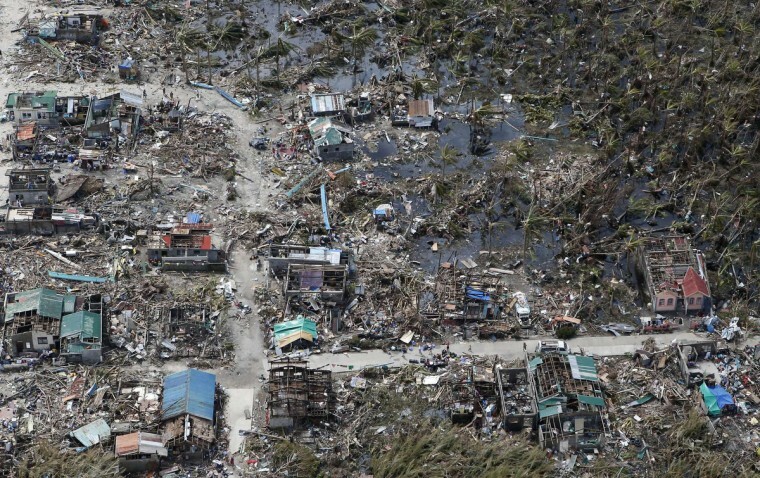 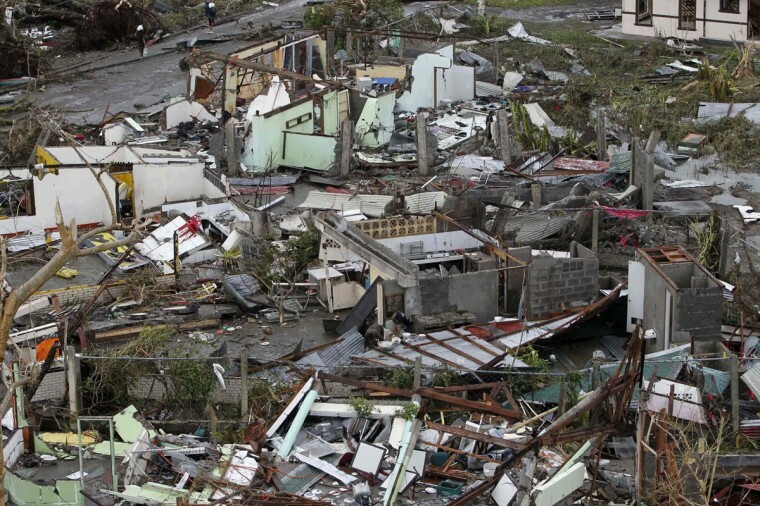 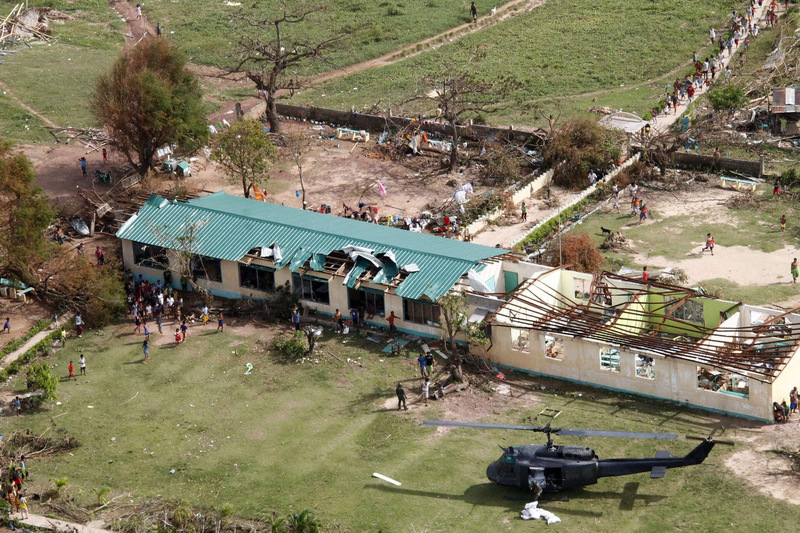 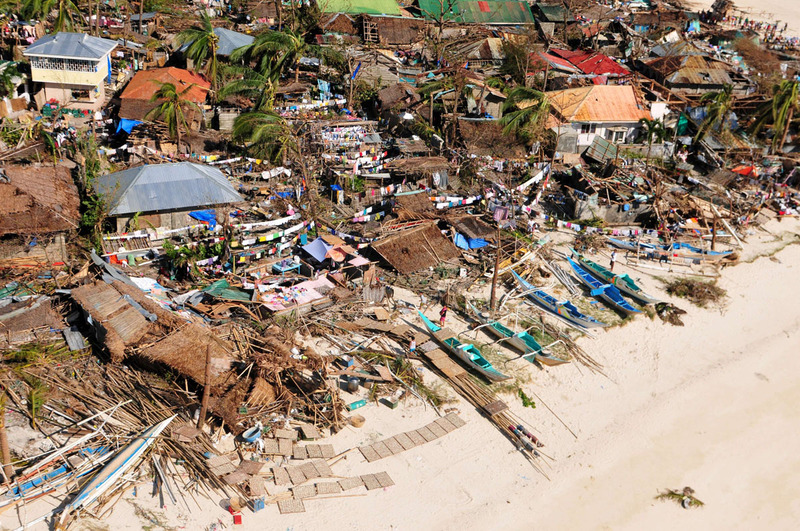 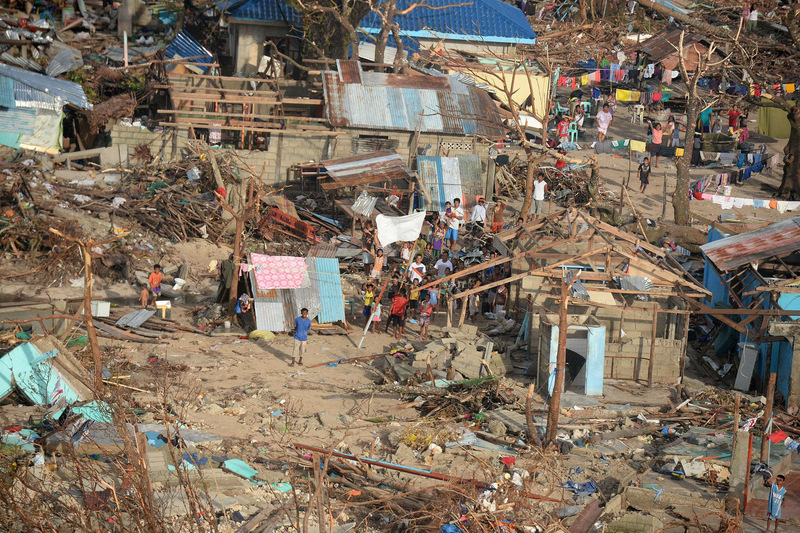 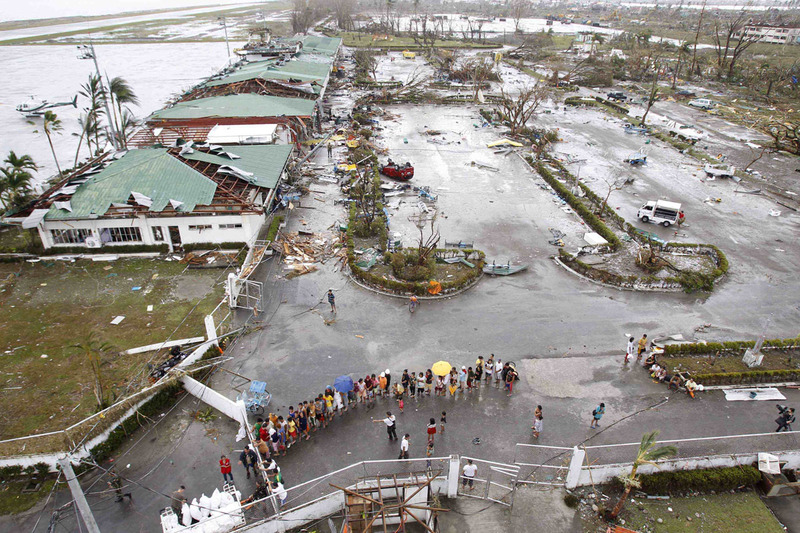 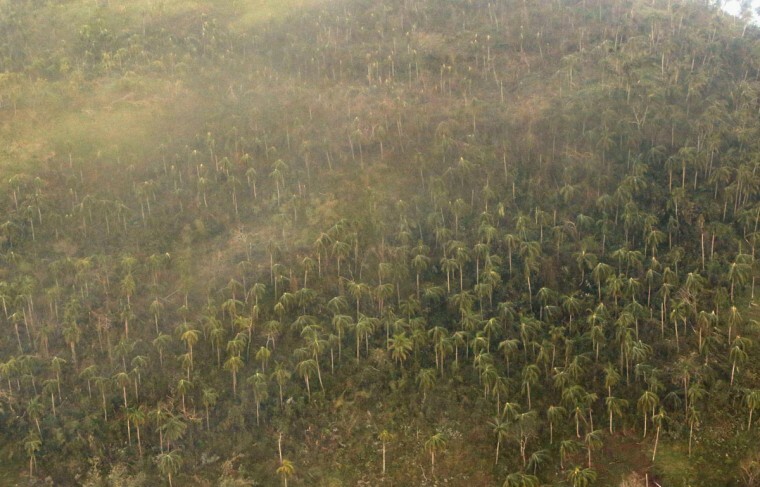 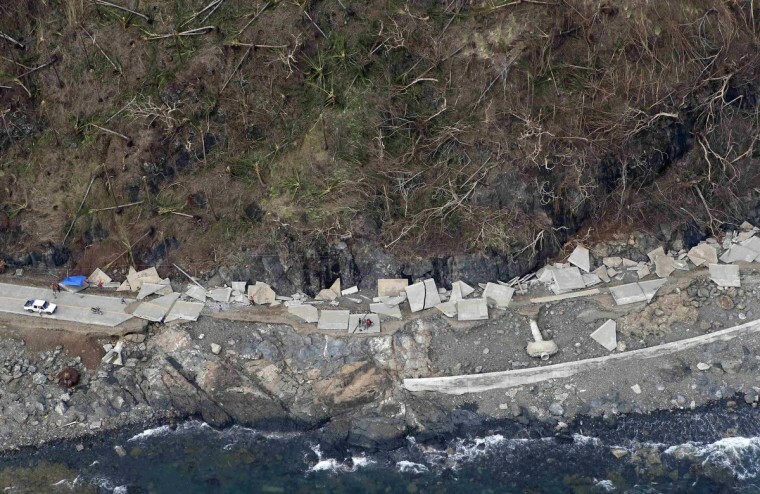 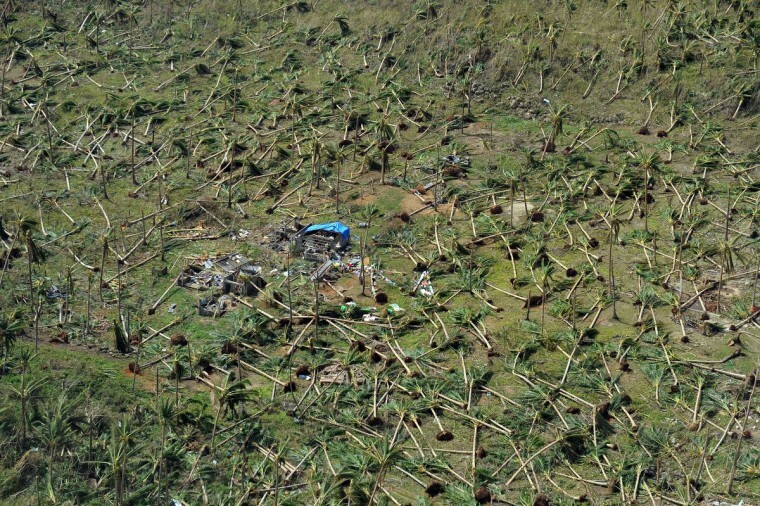 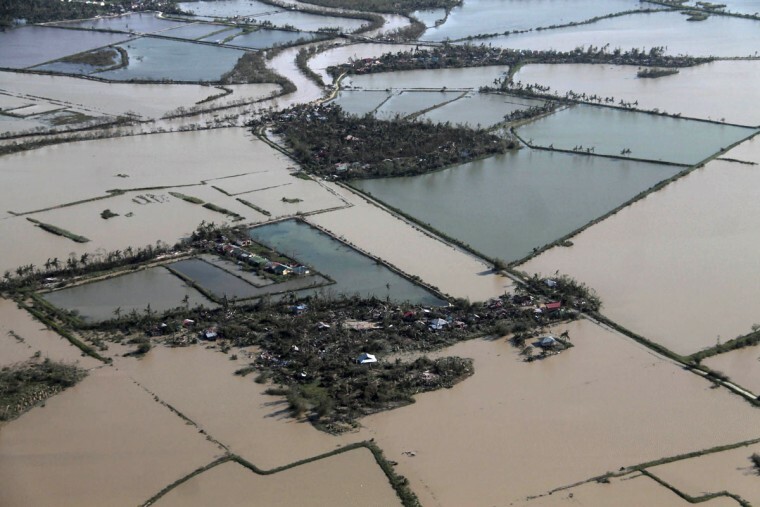 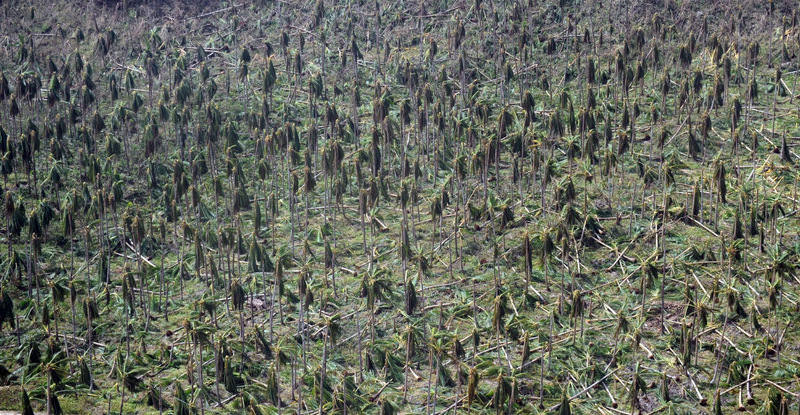 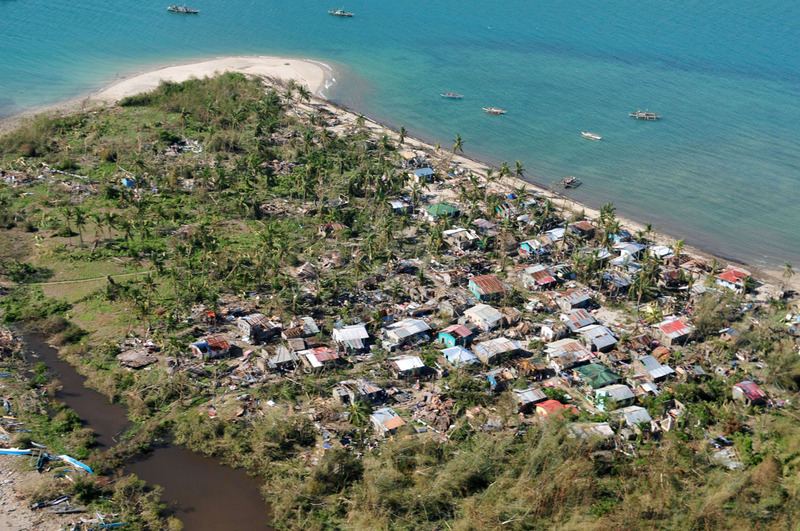 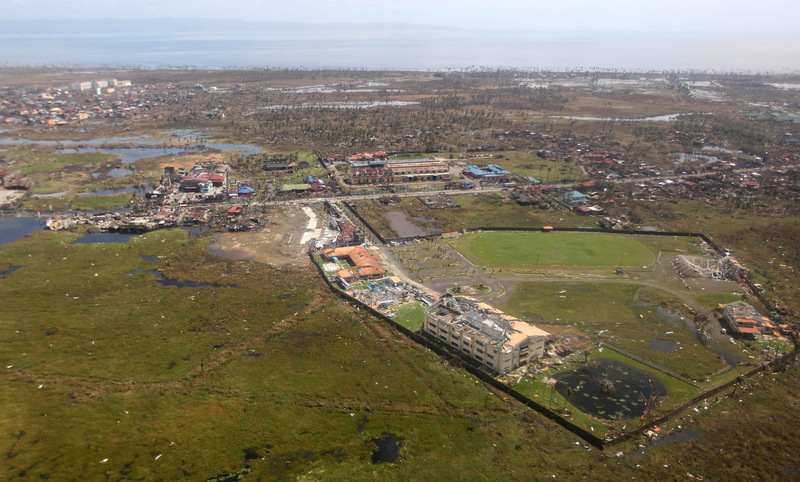 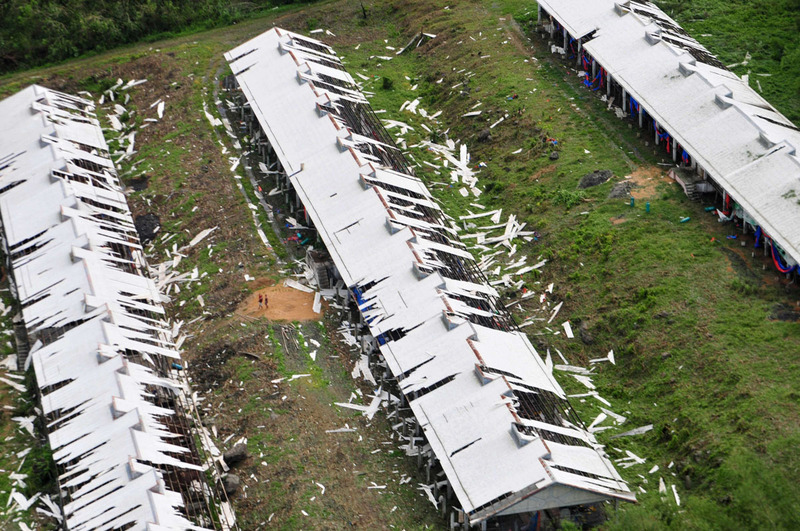 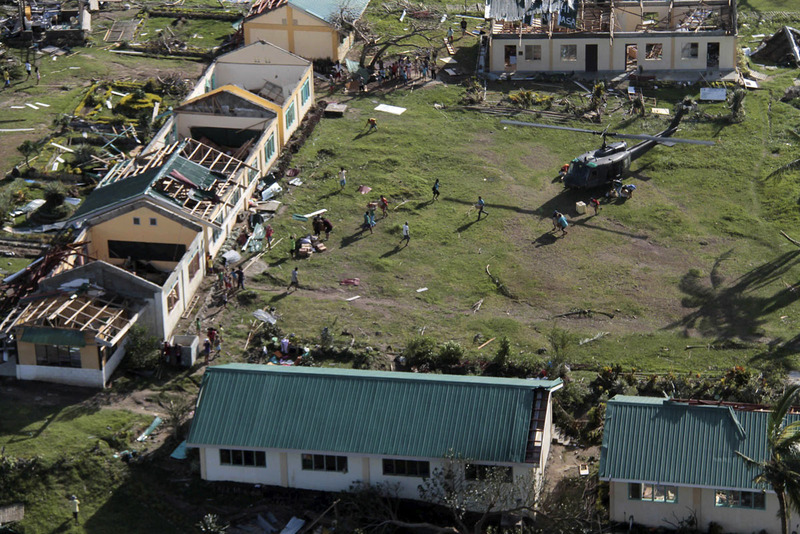 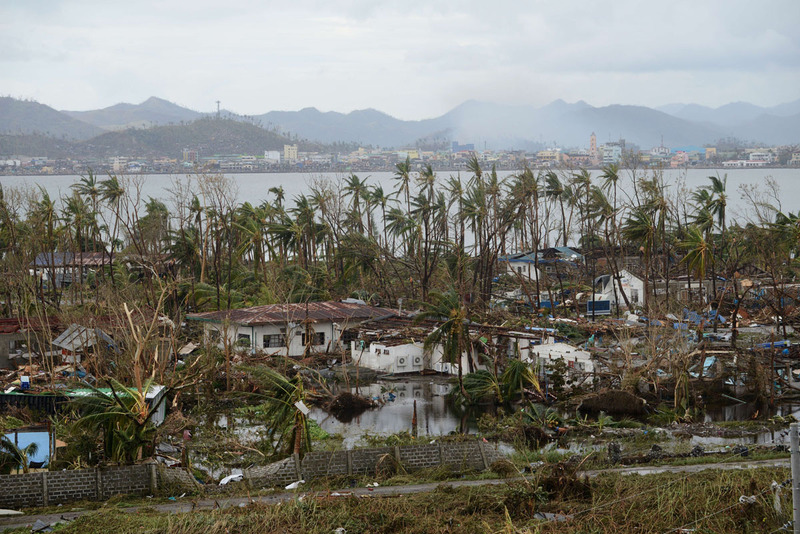 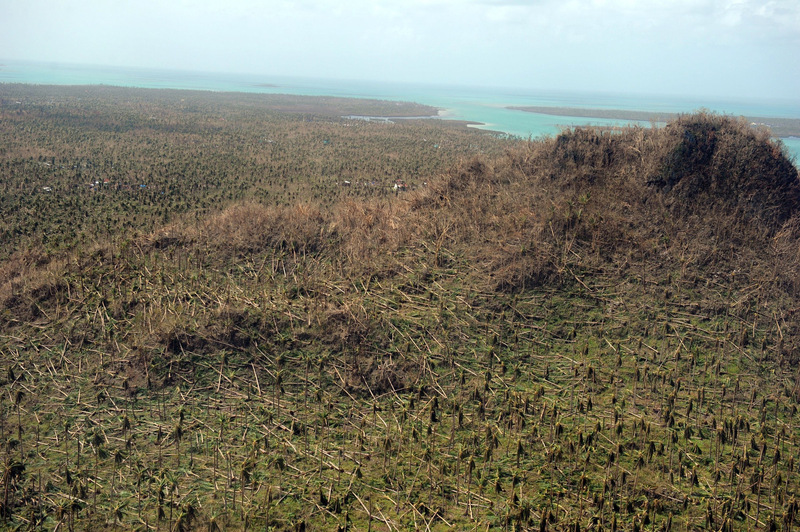 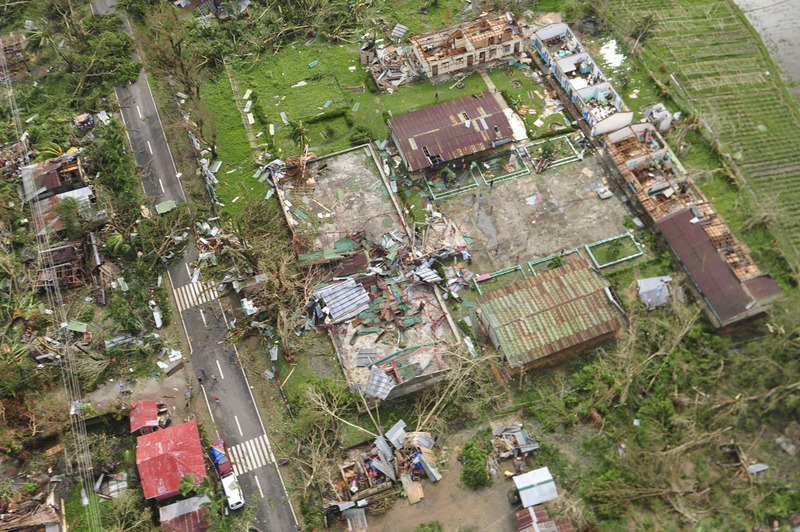 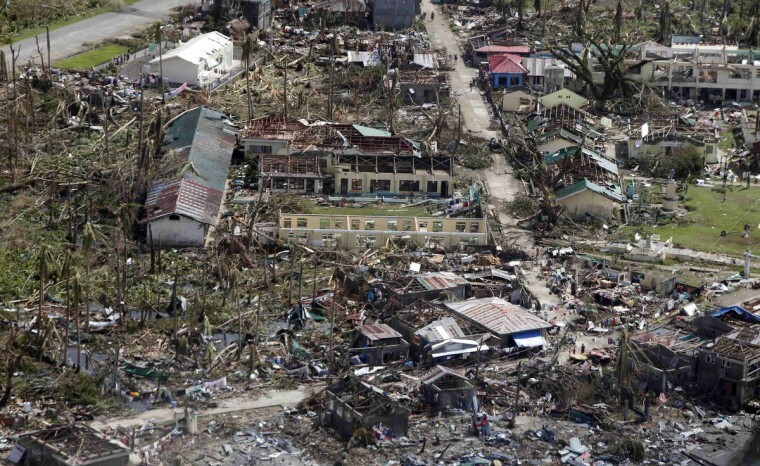 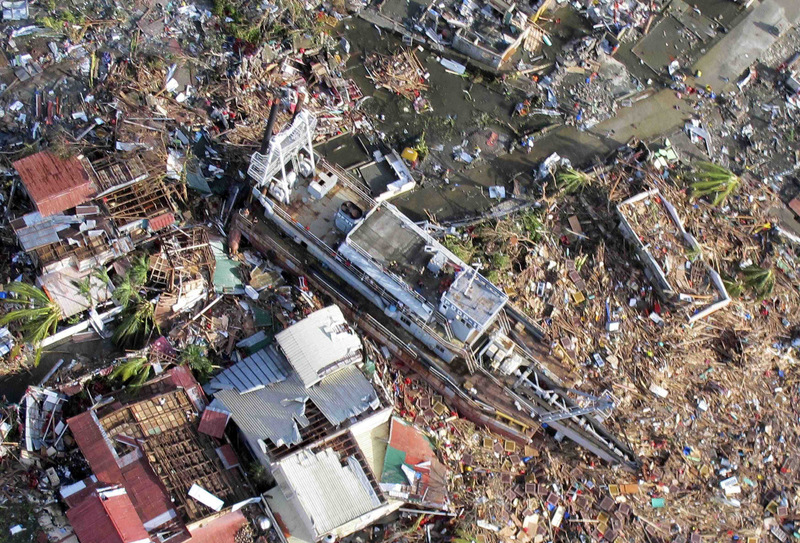 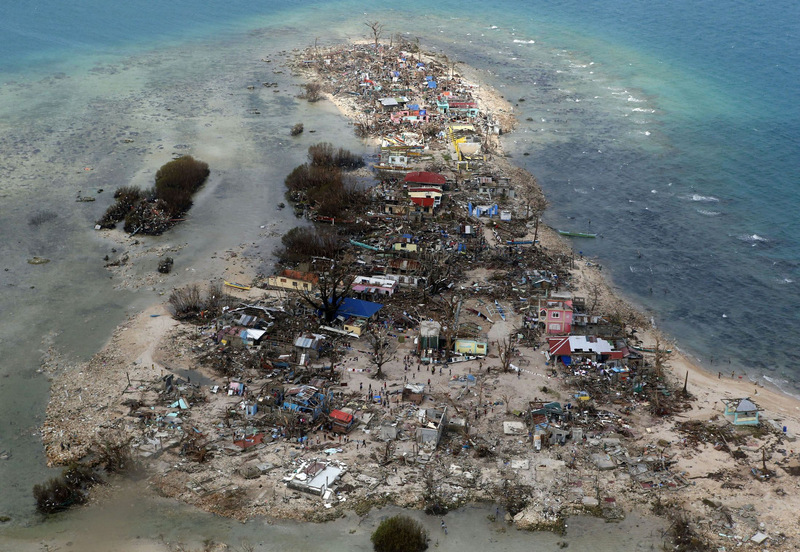 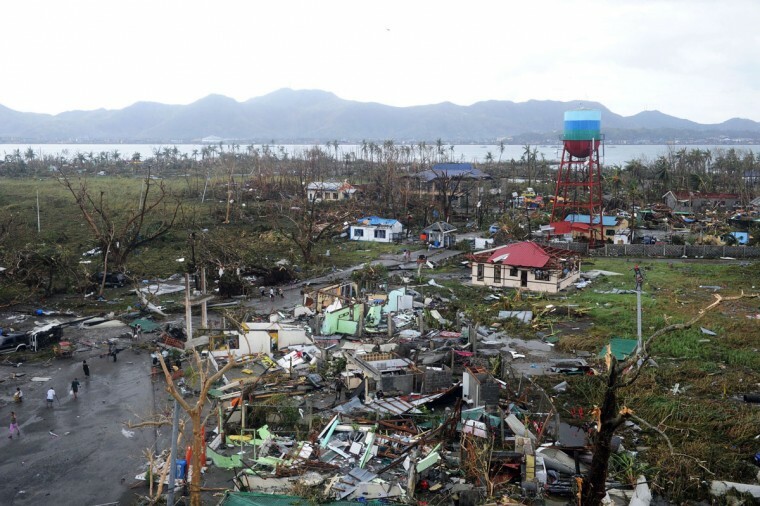 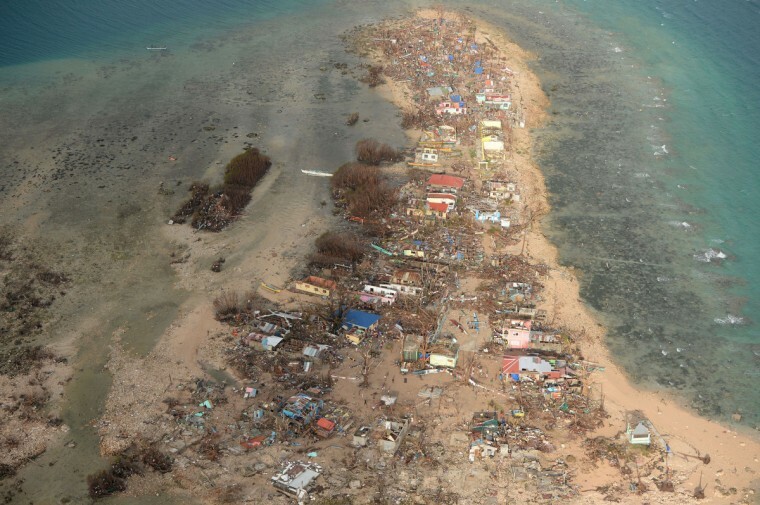 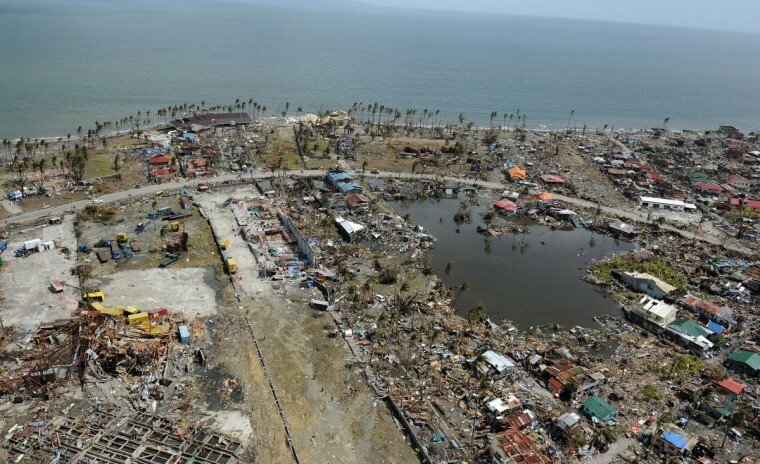 Here’s a look from above at some of the damage typhoon Haiyan left in its path. 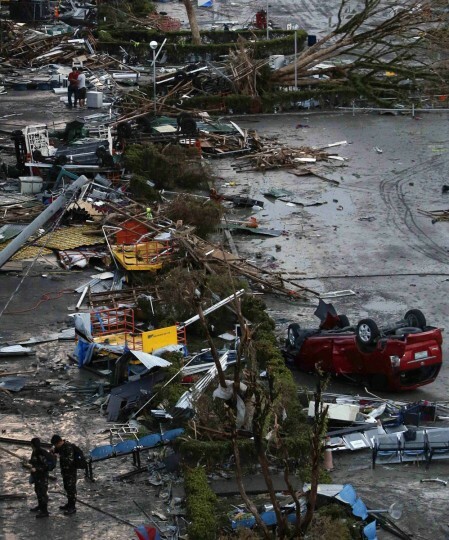 The death toll is expected to rise sharply from the fast-moving storm, whose circumference eclipsed the whole country and which late on Saturday was heading for Vietnam. 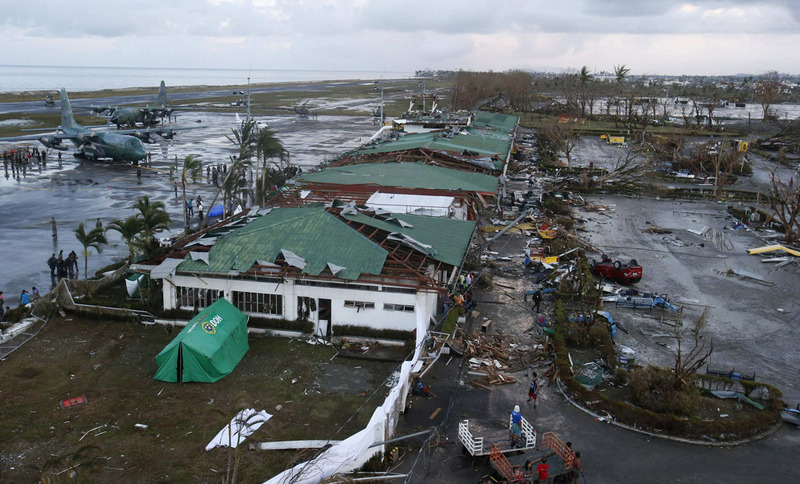 Among the hardest hit was coastal Tacloban in central Leyte province, where preliminary estimates suggest more than 1,000 people were killed, said Gwendolyn Pang, secretary general of the Philippine Red Cross, as water surges rushed through the city. 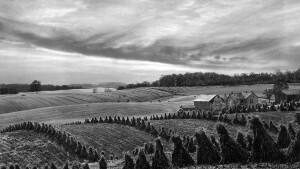 She expected a more exact number to emerge after a more precise counting of bodies on the ground in those regions. 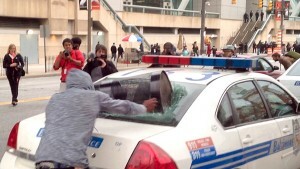 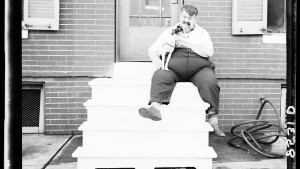 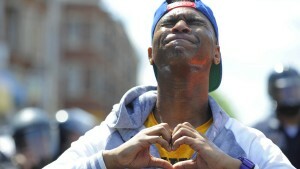 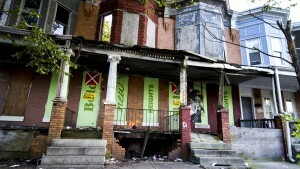 Witnesses said bodies covered in plastic were lying on the streets. Television footage shows cars piled atop each other. 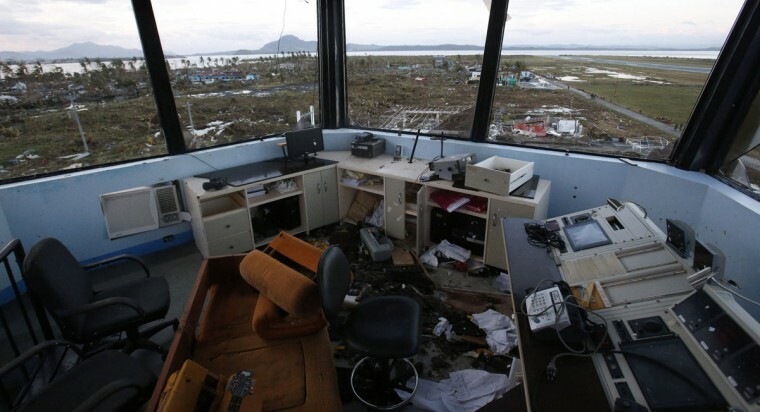 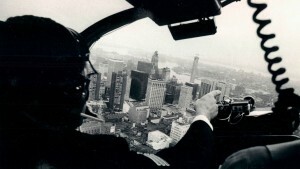 Read more on this developing story from Reuters.